Lock in a great price for Hazeldene Guest House – rated 9.5 by recent guests! Great accommodation lovely room large bed and perfect views (room 2) . Great location . Lovely breakfast . Good local knowledge . Paul was a great host . Would highly recommend this place . Paul and Lesley are so friendly and welcoming, they made our stay very comfortable and the breakfast was lovley. Great host made us feel relaxed clean and tidy rooms. Brilliant location, lovely hosts lovely and clean and cosy plus a lovely breakfast would recommend this accommodation. Great hosts Paul and Lesley, lovely breakfast great jams. Great staying with Paul and Lesley, they were very friendly and took of us. Breakfast was lovely, as was the homemade jam at breakfast. The guest house is spotlessly clean, rooms were comfortable and had everything we needed for the weekend stay. We stay away in many big hotels, so to stay in a guesthouse and have personal service with a smile and conversation was great. Would definitely recommend and will no doubt book again for the future. Friendly hosts, excellent breakfast, beautifully clean guest house local to all amenities, bars, restaurants and shops. Would definitely recommend and wouldn't hesitate to re-visit in the future. 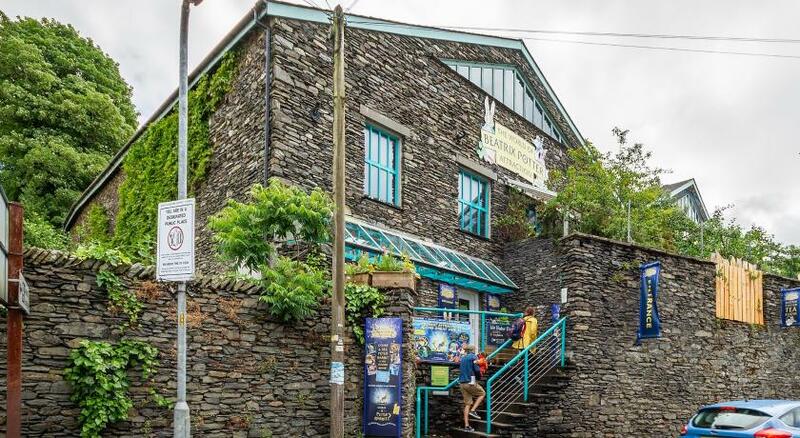 Location is perfect for Bowness, near shops, bars and the lake. Very clean, great breakfast, free parking, friendly owners. 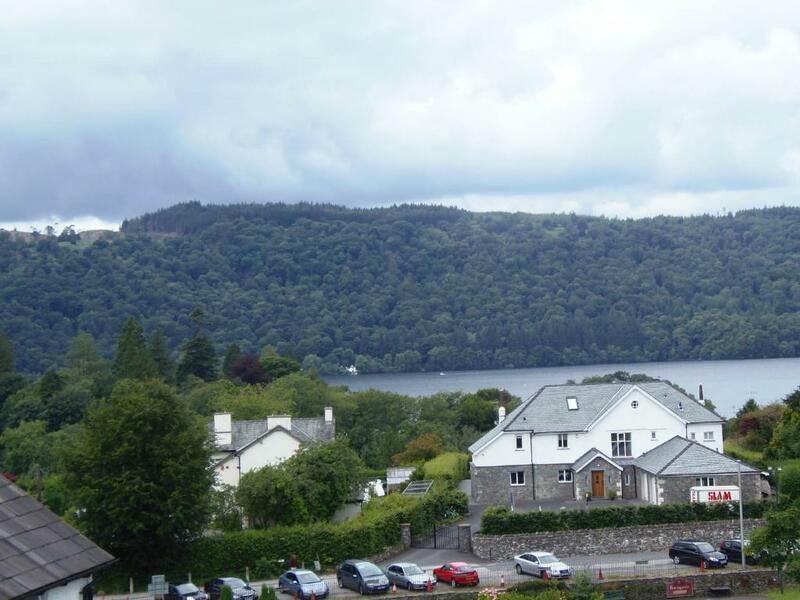 Centrally located for exploring the beautiful Lake District, Hazeldene Guest House offers free parking and full English breakfasts, just 10 minutes’ walk from the shores of Lake Windermere. Each room is individually themed and the room that you book will be the room that you stay in. All room are en suite and feature a flat-screen TV with Freeview, free toiletries and hospitality trays with biscuits and chocolates. The double rooms with lake view offers views over the lake and fells. Hazeldene Guest House is a period building with traditional charm, and offers a full English breakfast menu or vegetarian option in the breakfast room. A choice of tea, coffee and toast with home made fruit preserves is available, together with cereals and fruit juice from the buffet. Hazeldene Guest House is located in the heart of Bowness-on-Windermere, which has a vast choice of restaurants, pubs available, and independent shops. Windermere Rail Station and town center are just over a mile away. When would you like to stay at Hazeldene Guest House? Located on the second floor, this large and popular room is located at the rear of the house. It offers views over Lake Windermere, towards the fells in the distance. The room includes a flat-screen Freeview TV, free Wi-Fi, complimentary toiletries, and a hospitality tray with biscuits and chocolates. Located on the second floor, this bright room overlooks the main road. The room features a flat-screen Freeview TV, free Wi-Fi, complimentary toiletries, and a hospitality tray with biscuits and chocolates. Located to the rear of the house, this second-floor room has wonderful views towards Lake Windermere and the distant fells. The room features a flat-screen Freeview TV, free Wi-Fi, complimentary toiletries, and a hospitality tray with biscuits and chocolates. Located on the first floor, this bright room is at the rear of the house. It offers a flat-screen Freeview TV, free Wi-Fi, complimentary toiletries, and a hospitality tray with biscuits and chocolates. This smaller room is located on the second floor, overlooking the main road. The room features a flat-screen Freeview TV, free Wi-Fi, complimentary toiletries, and a hospitality tray with biscuits and chocolates. Fantastic location right in the heart of Bowness. All the shops, pubs, restaurants are within walking distance and not more than 10 minutes away. Each room is different so when you book with us we let YOU choose the room you want to stay in. Please read the room descriptions then make your choice. Walking/Hiking starts at the front door with miles upon miles to choose from, let me help to find a walk that will suit you and you party. Walk, play or just chill Bowness has it all! House Rules Hazeldene Guest House takes special requests – add in the next step! Hazeldene Guest House accepts these cards and reserves the right to temporarily hold an amount prior to arrival. Access to all rooms/floors is via stairs. Two rooms overlook the main road. All rooms have standard size double beds. Please note the check-in is between 15:00 and 18:00. Please contact the property if you are unsure of your arrival time. Each room is individually themed and the room that you book will be the room that you stay in. Please inform Hazeldene Guest House of your expected arrival time in advance. You can use the Special Requests box when booking, or contact the property directly using the contact details in your confirmation. The picture indicated on Booking.com is not representative of the Hazeldene, it is a view from our bedroom of a building some 200 yards away, and is therefore a misrepresentation. Nothing to be critical of to be honest. The owner was fantastic and personal, very friendly and helpful, couldn't do enough for you. Can't wait to go back here. Breakfast was excellent good choice and plentiful nothing was too much trouble for Paul and Lesley .